They say that if you really want to get good at something, you have to practice, practice, practice. Practicing helps you perfect a skill. It helps you grow. It helps you learn. So what is the best way to both polish up your photography skills and boost your photo taking inspiration all at once? Why not challenge yourself to complete a 365 photography project!? Yes, that’s right! Take one photo a day, every single day, for an entire year. I know it sounds like a commitment. And to be honest, it is a big one. But don’t feel overwhelmed! I am going to share some great tips to help make completing your 365 photography project so much easier. I will share the ways that I stayed organized and disciplined throughout the year, how I stayed inspired to keep taking my daily photo even when I wanted to quit, and what app you simply have to have to complete your 365 photography project. I will also tell you why deciding to do my 365 photography project was the best decision that I have made as a photographer to date. 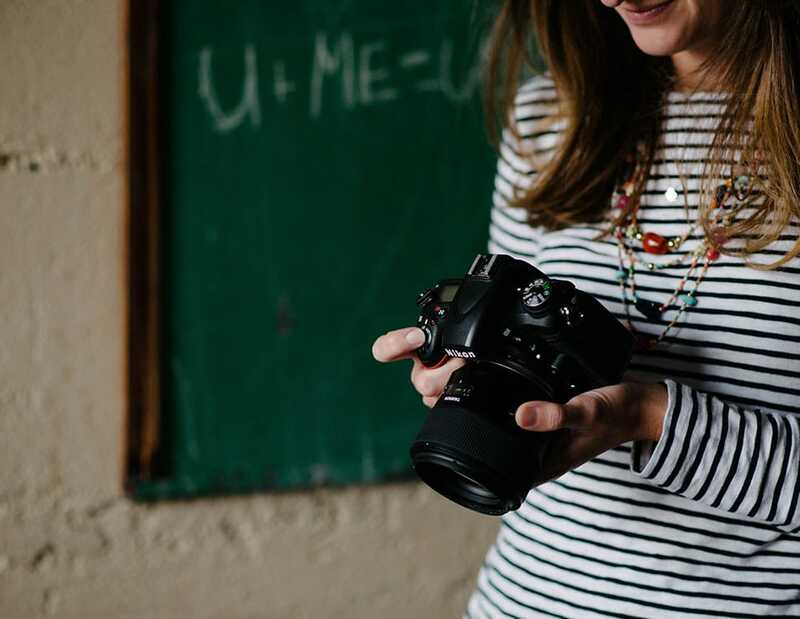 Read how to start a blog for your 365 photography project. Post contains affiliate links. Thank you in advance if you purchase something and support Click it Up a Notch. First of all, it has to be said that starting a 365 photography project is like starting a diet. The first few days are great, then week two sets in and you just don’t want to take a photo that day, then on day 80 you want to quit all together. That’s the way it was for me, anyways! But, just like a diet, it gets easier once you build a routine. Taking my Project 365 photo quickly became a part of my daily routine, just like eating breakfast. So how do you do that? Encourage yourself to post your 365 photography project photo at the same time every day, to build a routine. For me, I told myself I would post my photo to Instagram at 9:30 am or 4:00 pm every day. I know this may sound strict, but it created a habit. Because I was posting my photo around the same times every day, it simply started becoming just another part of my normal day. I became so used to doing it, that I didn’t even think about it. Every day, everywhere I went, I was looking for a photo as I was going about my life. Making your 365 photography project a habit and a part of your daily routine will help you immensely! So write it down! Write it on your calendar every single day! You will be amazed at how you will suddenly just complete your daily photo without having to be reminded. Having this app by my side throughout the year was one of the reasons why I was so successful with my 365 photography project. The Collect App is all about organization, organization, organization! This app allows you to actually place a photo on the calendar day that you took the photo. By the end of the month, you will have a calendar full of photos and it is so neat to look at! Not to mention, it really gives you a sense of accomplishment. If you are a visual person like me, you will love this app. I loved actually seeing that my calendar was filling up, day by day. It helped me to stay accountable because I didn’t want to have a blank day on my calendar. Post your daily photos to social media. There are so many other people who are trying to complete a 365 photography project like you are, especially on Instagram. Instagram is simply a fun community. It is all about people taking photos and sharing their little piece of the world with others. I cannot even begin to tell you how many people I’ve met through Instagram. More importantly, this community can be so supportive and inspiring when it comes to your 365 photography project. Posting my 365 photography project photos to Instagram every day also really helped me to feel accountable. Since others knew I was doing a 365 photography project, I felt encouraged to keep clicking my camera and posting daily. It is also really fun to see what other people think of your photo. The positive comments and support of fellow Project 365’ers will keep you motivated to keep taking photos! Join a group that provides photo prompts. There are so many groups on Instagram that provide daily photo prompts that can be very helpful. I am going to be honest here, there are just going to be some days when you just need someone to tell you what to take a photo of. It is natural and okay to feel uninspired some days, so having a photo prompt can be really helpful. I am not saying that you have to follow the prompt every single day, but sometimes those prompts can be great back-up plans. For my 365 photography project, I started out by using the daily photo prompts and, about halfway through the year, I just started doing my own thing and taking photos of my everyday without relying on prompts. Either way is just fine. It is your 365 photography project, so you can make the rules! When in doubt, make a spreadsheet. Yes, I am a little too organized for my own good! Remember those daily photo prompts I was telling you about? Well, during the very first month of my 365 photography project I decided to write all of the prompts down every week in my daybook so I would always know what my photo goals were. It was helpful to see what types of photos I was supposed to take throughout the week. And because I follow a lot of different photography forums that provide prompts, I made a little spreadsheet to organize what prompts belonged to what forums. It made it really easy for me to decide every morning what prompt I wanted to use to inspire my photo. Some forums provide all of their prompts at the beginning of the month, and some provide them weekly. Pick a camera, any camera! When I started my 365 photography project, I decided to use my iPhone to take my pictures. I thought that the daily challenge of taking a photo was going to be a challenge enough, without having to upload a photo from my DSLR and edit it. So for the first seven months of my Project 365, I was iPhone only. But in the middle of the summer, I was feeling as if the project wasn’t challenging me as much anymore. Taking a photo was simply my daily routine at that point. Dare I say, I was getting a little bored? So I changed it up a bit and picked up my DSLR. I decided to challenge myself to use my Nikon every single day. I tell you this because some people decide to complete their 365 photography project with one camera or another, whether it is a cell phone or a DSLR. But do what is best for you and your photography journey. If you want to get better at iphoneography, pick up your phone! If you want to learn more about your DSLR, pick up your DSLR! Remember what I said earlier? It is your Project 365, so you get to make the rules! And it must be said that I am so glad that I made the switch from iPhone to DSLR. Just by picking up my camera every day to take photos has given me an even better understanding of how my Nikon functions. Plus, I have noticed a very big improvement in my photography, and that’s exactly what a Project 365 is all about! You deserve it! Yep, I bribed myself. To keep myself motivated throughout the year, I told myself that I would reward myself if I completed my Project 365. I told myself that, if I completed my Project 365, I would have a huge book of all of my 365 photos professionally made at the end of the year. And it really has kept me motivated. Honestly, it is not easy and throughout days 80 through 90 I kept telling my hubby that I wanted to quit. But then I thought, “I already have almost 100 photos completed. That is a lot of photos! I cannot quit now because that would be such a waste and I want those photos in my book!” And to be completely honest, it really got easier from that point on. Because every day is another photo closer to the finish line and the further you get into the year, the more likely you are going to complete it! Companies like Artifact Uprising and Blurb are great for photo books. Even if your reward isn’t a book at the end, choose something to celebrate! Maybe it’s a new lens or a new camera bag! Choose something that will motivate you to get through days 80 to 90. And trust me when I say that it does get easier. In fact, I am going to do it again next year because I can’t imagine my day without it now. Forgive yourself if you miss a day. It is going to happen because life happens. There are going to be days when you cannot take a photo and that is okay. Just try not to let that one day turn into a week, that turns into a month. It is really hard to catch up once you miss that much! Just plan accordingly. There was a month where I knew I was going to be out of town for 15 days of it. And you know you are a photographer when the first thing you worry about is how you are going to fit your daily photo into your travel routine. But some days I took zero photos, and other days I took two. I don’t know about what other people think, but I personally think that it is just fine to take some photos ahead of time if you are worried about not being able to take a photo on a certain day. Just do the best you can and have fun doing it! Don’t let missing one day get you down, just catch up and keep going! When I look back on this year and see my photos, I am astonished. As I look through the months of photos, I can see visual growth in my camera skill, my composition, my post-processing, and my personal style as a photographer. I can certainly say that I would not have grown this year like I did had I not challenged myself to do a Project 365. This project encouraged me to pick up my camera every single day. I learned things about my camera that I hadn’t known before and I have developed new skills that have helped me to be very successful during my professional photo sessions this fall season. Every day I am perfecting my skill by simply picking up my camera. I can’t wait to see what my photos look like a year from now! You can follow @bethadilly and @clickitupanotch on Instagram. I’m so excited about that app! I’ve been wanting to find something like it, but didn’t know where to look! Thanks! you are very welcome! the app really does make the project much more organized! plus, it is so fun to look at once the end of the month comes! I’ve been taking a photo a day for 3 1/2 years now. Besides being a lot of fun it’s really helped me remember events and dates. I’ve been using the app Photo365. that is so great, denise! we are thinking the same! i am definitely beginning another 365 in january because i just love the fact that i am documenting my life in photos! it will be so neat to look at and remember down the road…especially for my future littles! i will have to check out that app! thanks for sharing! Great article Beth! Thanks for sharing all of your tips. you are very welcome! thanks for reading! happy december! Can’t wait to start my project 365 in January! Thank for all the tips, Beth. you are very welcome! best of luck on your 365! you will do amazing! alina, just wanted to let you know that i am doing a 365 photography challenge for 2015 called >>the bethadilly challenge<< and i will be providing prompts! you should join us! Thanks, Beth. I am going to join you for sure. Thanks for the great post Beth! I’m excited to get started…..The idea of being able to use my phone makes it a bit less daunting. 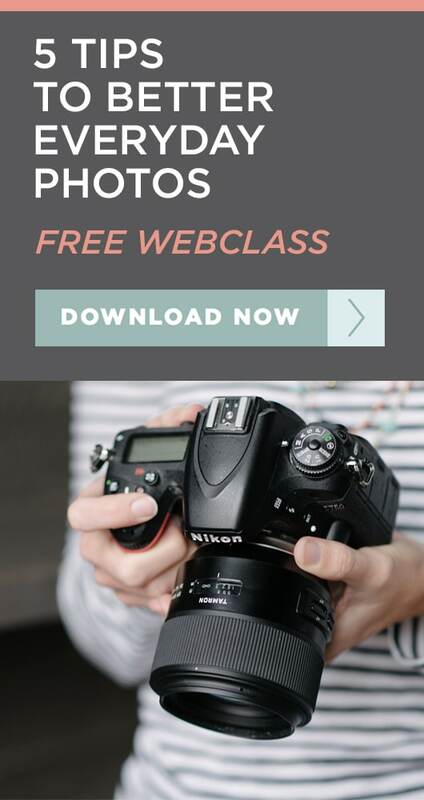 Did you also post your dSLR photos to Instagram – and did you find an “easy” way to do that? hello michaela! i am so glad you are going to start this project! you will love it! yes, i loved taking photos with my phone because it definitely is less daunting, especially when you are just beginning the project and you are building the routine of taking a photo every day! i did also post my dslr photos to instagram as well! i find that the easiest way to get my dslr photos from my laptop to my phone after editing them is dropbox! it is so easy to use and, for me, works instantly! i hope this helps you! best of luck on your 365! you can do this! Thanks Beth! Dropbox – brilliant! I’ve already added you to my Instagram. Thanks again for the great post! I love your post. And I love the idea of app. It looks so neat and inviting. I am not so technically savvy and was wondering if this images can be transferred to a document in my macbook? hello sophia! great question! at the end of the month, when all of your pictures are on the calendar, it allows you to save the calendar image onto your phone. i have an iphone and it allows me to save the calendar picture in my camera roll. then i just upload it onto my macbook pro! it is really easy! i do believe the app is free, however i did buy the dollar version because it allows you to have the calendar in a higher resolution! check into it though, i bought it a year ago so things might have changed! Thank you for such a great article. Would you by chance have any app suggestions for android users? hello amy! unfortunately, i am unfamiliar with the android and don’t know of any apps. i am hoping someone else will chime in with a suggestion for you! great question! I found Daily Photo – photo diary but haven’t used it yet as I just found this website. I’ve checked that android app out and it doesn’t appear that you can upload pictures from another camera to your app. so i’m still searching. welcome, jane! you will love this website! hope you find an app that works well for you! What a awesome article. I very excited to start this in January. Can you share some Instagram 365 photo prompts that we could follow? Also, could you suggest photography forums that provide prompts? Thank you so much, I just love your website. hello susan! thanks for the kind comments! i am so excited you are starting a 365 in january! i am actually hosting a prompt in 2015 called >>the bethadilly challenge<< and i provide daily prompts to inspire your photo! 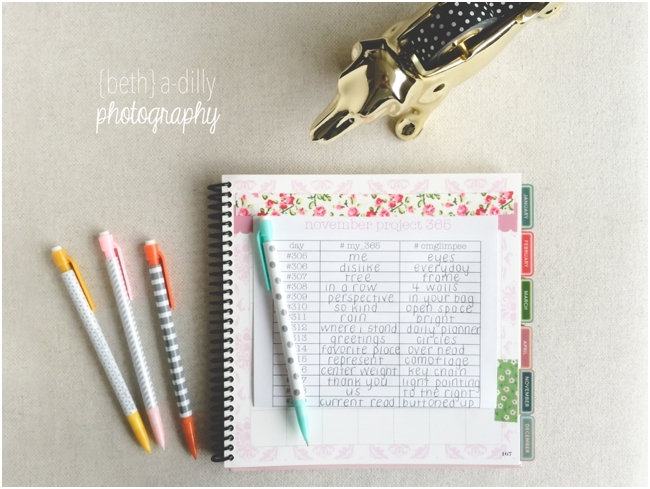 all of the prompts for january are listed on my blog, http://www.bethadilly.com! i hope you decide to join me, we will have a lot of fun! clickin moms is another great photography forum that provides prompts! I love the collect app idea, is there an android version?? hello kathy! unfortunately i am unfamiliar with the android, as i use the iPhone, so i am unsure! Did you ever find an app like this for Android? Thanks. 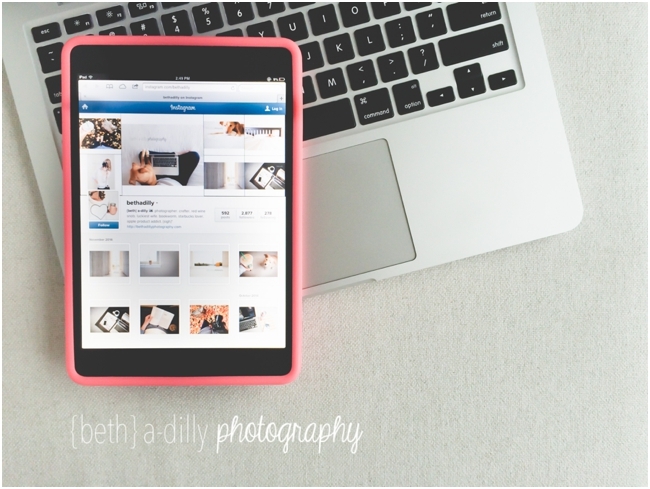 Beth, I recently found your Instagram page and am enjoying following you! I did a 365 in 2013 that *changed my life* (I’m now in full manual mode and shoot in RAW). Question about your self portraits….I don’t like “selfies” but yours are different and don’t scream “self obsession”. Rather, they help tell a story. Are you using a second DSLR on a tripod (when the photo includes your Nikon)? I read your selfie post at your blog and it sounds like you use your iPhone for most but there a few of your pics with your Nikon *in* the shot so I became curious as to the gear used. hello ashley! thanks for the kindness, and great question! in my 2014 selfies, i was using my iphone to take them, that is why you can see my camera in the frame. this year though, i am doing my second 365 photography project using only my dslr so the two photos that i have posted so far this year, with myself in them, were taken with my dslr on a tripod! i did get a second/backup camera this year, so i am hoping to jump in a couple photos with my camera too! Hi Beth! Thank you so much for organizing this and providing such great inspiration! I am trying to use mostly my dslr for this project, because I’m using as a tool to really learn it inside and out. But I want to play along on Instagram as well :) When you upload your dslr photos to Dropbox do you resize them? If so, what dimensions do you use to make them look their best? Thanks! hello allison! here is the link to the february prompts: http://bethadilly.com/the-bethadilly-challenge-2/ if you would like to email me your email address to [email protected], i will look up and see if there is a reason why you didn’t receive the email! thanks, allison! have a lovely day! So exited that my honey share this page. it has so much good info. Im so excited about this challenge! Where did you get the black photobook in the example above?! I love it! Thanks, Kelly! The book in this post was made through Shutterfly and, at the end of 2014, I made my final book through Artifact Uprising! 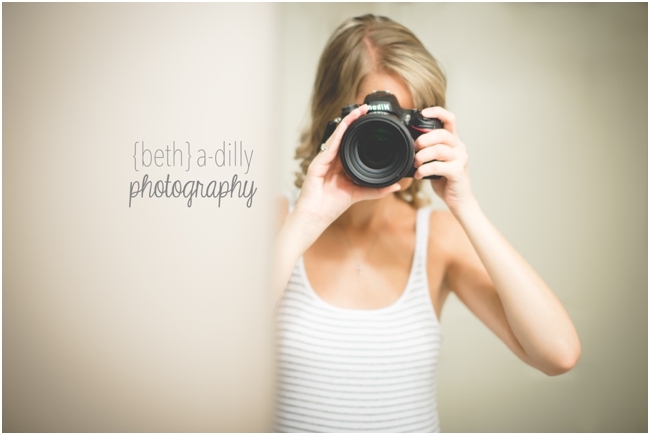 You can take a peek at that book here: http://bethadilly.com/my-photography-project-365-photobook/ Enjoy! Two questions: Firstly, what publisher/software did you choose to use for the book of your 365 pictures. Secondly, if you have 365 pictures, about how many pages did you use for the book? I’m just trying to get some ideas on how many pages will be single pictures and how many will have multiple pictures. Thanks so much for the article and the inspiration! Hello Donna! The book in this post wasn’t my final book, so here is a link to the actual book I made at the end of the year, through Artifact Uprising! 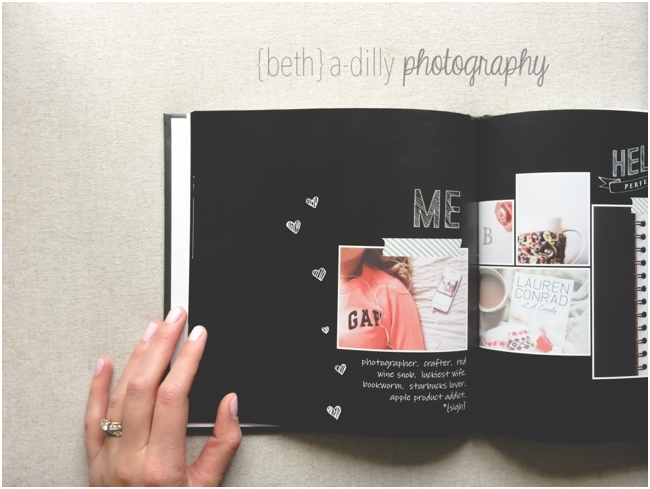 http://bethadilly.com/my-photography-project-365-photobook/ I ended up using a variety of page layouts to create my book. Some pages had 4 photos on them, while others only had 1 photo. Artifact Uprising has great templates for photo book making and they are really user friendly. The book photographed for this post was made through Shutterfly. Hope this helps! Yay! 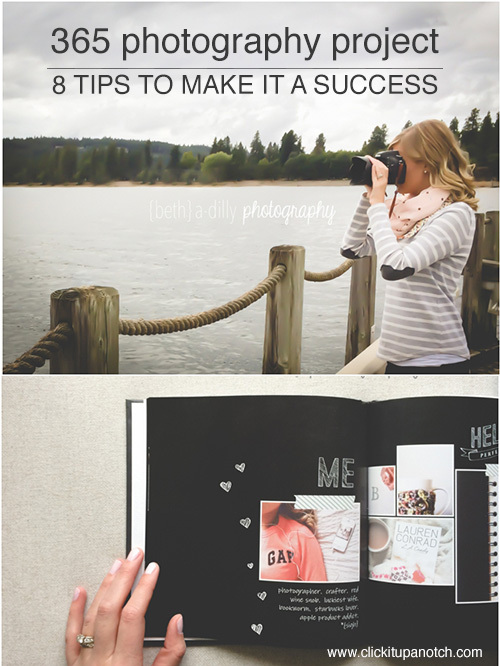 Yes, a photo book is definitely a great way to showcase your year in photos! Did you upload your photos to both the Collect App and your book building site? Seems like double work. I was hoping to find an app or way to collect, store and share that also had the option of creating a book directly from the same site. Any thoughts on that or did you find it easy to use two formats to achieve your goals? Loved the idea! It really encouraged me to start a challenge, but I think that I’ll be doing a 100 days challenge for the first time. Anyway thank you for writing such an article! So happy to have inspired you! A 100 day challenge sounds excellent, have fun! Great post! I am inspired to begin to challenge myself. Thanks, Beth! Yay, Carrie! That is so great!